Many building managers and field operators require rain gardens and bio retention basins to redirect storm water back into the ground. 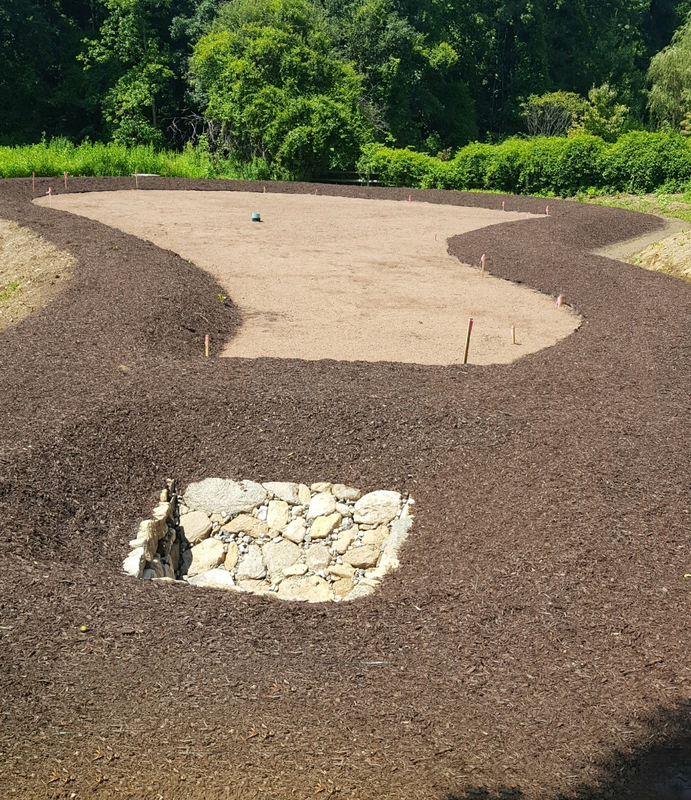 Manmade ground-based and landscape hollows collect, redirect, or effectively manage potentially problematic or unsightly water, and Dunning Custom Soils is one of the few dealers in the region that has a customizable product for specific drainage needs. Because some of these basins actually double as gardens, cultivation with plants and bushes is often necessary. That's one reason why the company you use to establish your rain garden and bio retention basin should be an expert in all manner of soil solutions. Storm water management is sometimes also associated with solid surfaces, gutter outlets, or one of countless other areas. With Dunning's customizable product, there isn't a storm water concern we can't address. Call us to learn more about the Dunning solution for Rain Gardens and Bioretention Basin soils, and all your other other custom soil needs.